Despite his seemingly endless string of racist comments and insults about immigrants, Iowa Rep. Steve King had the Republican Party’s backing through nine elections and GOP presidential contenders often lined up for his endorsement in the state’s lead-off caucuses. The shift comes at a moment when the party is grappling with its stance on racial issues, in part because of President Donald Trump’s own inflammatory racial rhetoric and hardline views on immigration. GOP leaders also have conceded that the party must do better with minority voters and bring more diversity to their own ranks, currently dominated by white men. There are also signs that King’s track record is wearing on voters in his overwhelmingly Republican district, which he carried by just 3 points in November. King’s insensitive remarks have included arguing “we can’t restore our civilization with somebody else’s babies” and predicting chaos if whites are replaced as the nation’s majority. Yet Republican leaders still expressed shock following a recent New York Times story in which King expressed puzzlement about why terms like “white nationalist” are offensive, Republican leaders have expressed shock at his words, stripped him of his committee assignments and even questioned whether he belonged in Congress. The House voted 424-1 on Tuesday for a resolution repudiating King’s words. “He had a 3 percent victory that should have been 30 percent, and that’s not going to go away,” said Kass, a county supervisor. If he seeks re-election, King will face at least one opponent for the Republican nomination, as state Sen. Randy Feenstra announced last week he’s seeking the seat. Most Iowa Republicans backed King before the 2018 election, despite his praise of a nationalist party in Austria with Nazi ties and a tweet endorsing a white nationalist candidate for Toronto mayor. Among those who didn’t, though, was Rep. Steve Stivers, the chairman of the House Republicans’ campaign committee. “We must stand up against white supremacy and hate in all forms, and I strongly condemn this behavior,” Stivers said then. The timing was remarkable, as the GOP’s campaign chief seemed to be encouraging Iowa voters to oust one of their sitting incumbents. Effectively, Republicans were putting the seat at risk at a time when they were already facing the loss of the House. The uproar over King’s comments comes against the backdrop of Trump’s election and presidency, which has placed the debate over inflammatory racial discourse and white nationalism at the center of American politics in a manner not seen in decades. The president stoked it in his campaign’s first moments, suggesting when he announced his candidacy that Mexicans crossing the border could be “rapists” or “murderers.” Since taking office, he’s defended white nationalists in Charlottesville, deemed some African nations as “s—hole countries,” described immigration as “an infestation,” all while expressing a preference for immigrants from places likes Norway. 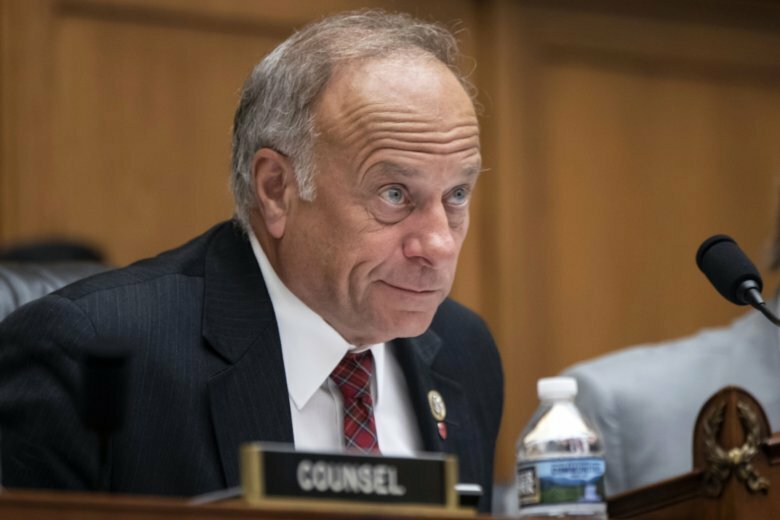 Karen Kedrowski, a political science professor at Iowa State University, said she thinks Republican politicians grew tired of King long ago, but given the nation’s growing diversity that is reflected among the House Democratic majority, they feel they can no longer tolerate his comments.